THERESA May has been hit by a ministerial resignation as she prepares to hold talks with Jeremy Corbyn which the UK government accepts are likely to lead to a “softer” Brexit. 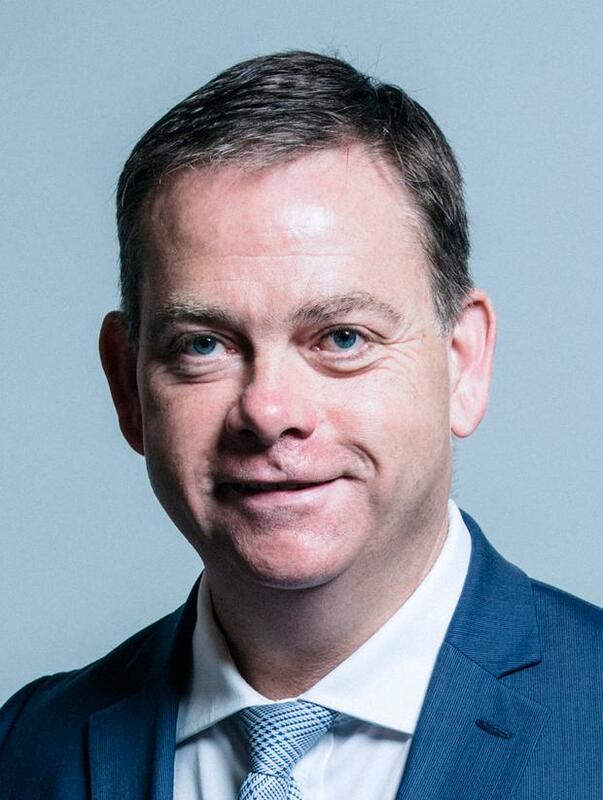 Wales minister and whip Nigel Adams said the British Prime Minister had made a “grave error” by reaching out to the Labour leader in the hope of finding a consensus solution to Brexit ahead of a crunch EU summit on April 10. Mrs May announced her dramatic move after a marathon session of Cabinet at which a number of UK ministers are understood to have argued for a no-deal EU withdrawal next week. In his letter, Mr Adams said that the British government faced two “great challenges” of delivering “the Brexit the people voted for” and preventing a Corbyn premiership. The Selby & Ainsty MP said: “Legitimising and turning to Jeremy Corbyn to assist you at this crucial stage, rather than being bold, is a grave error. Mr Adams’s resignation is the first since Tuesday’s Cabinet meeting and came shortly after UK Brexit Secretary Stephen Barclay said a softer Brexit was the inevitable result of the political balance in the Commons. Mrs May’s offer to meet the Labour leader to try and end the impasse over EU withdrawal sparked fury among Tory Eurosceptics. Mr Barclay said he believed the Labour leader posed a threat to the UK economy, but he could work with him on Brexit. The UK’s Brexit Secretary denied media reports that he was one of 14 Cabinet members to back a no-deal Brexit over the Prime Minister’s latest plan in Monday’s marathon Cabinet session. Tory MP Jacob Rees-Mogg described the offer to Mr Corbyn as “deeply unsatisfactory” and accused Mrs May of planning to collaborate with “a known Marxist”. The DUP said it “remains to be seen if sub-contracting out the future of Brexit to Jeremy Corbyn, someone whom the Conservatives have demonised for four years, will end happily”. International Development Secretary Penny Mordaunt said: “The only way to leave is with the Withdrawal Agreement. The leaders’ meeting is expected to take place as a cross-party group of senior MPs launches a separate attempt to force the PM to stop a no-deal Brexit by tabling legislation requiring her to delay Britain’s withdrawal beyond April 12. A group of MPs – including Conservative grandee Sir Oliver Letwin and Labour’s Yvette Cooper – aim to fully pass a Bill through the Commons on Wednesday to stop the UK crashing out of the EU. Instead of initiating a third round of indicative votes on Wednesday, when Parliament once more has control over the Commons timetable, Sir Oliver will table a paving motion to allow debate and votes on Ms Cooper’s Bill. An amendment to his motion would set aside April 8 for indicative votes. The single-clause Cooper Bill requires the Prime Minister to table her own motion seeking MPs’ approval for an extension to the Article 50 process of Brexit talks to a date of her choosing. The group behind the Bill hopes once it has passed the Commons it could be approved by the House of Lords and granted Royal Assent in time for the emergency EU summit on April 10. Mr Rees-Mogg claimed Remainers had taken control of Brexit and were “disenfranchising Leave voters”. European Parliament Brexit coordinator Guy Verhofstadt, who had said he thought a no-deal Brexit was “nearly inevitable”, welcomed Mrs May’s offer of talks with Mr Corbyn. If the European Council proposes an extension beyond May 22, it is understood that it would be possible for the UK to take the steps necessary to prepare for European Parliament elections on May 23, but then cancel them at the last minute if the withdrawal deal was ratified.